Finding the right editor is no easy task. Like writers, editors vary in editing style, approach, and skill. 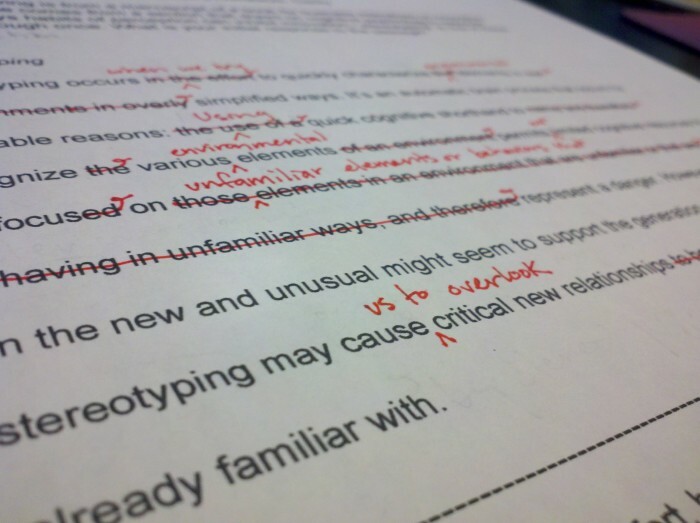 Sample edits are a great way to get to know editors and how they will affect your work. As I’ve mentioned in previous blog posts, developmental (content) editing doesn’t always have hard and fast rules, so how can authors use a sample edit to decide if a developmental editor is the right fit for them? Developmental editors don’t usually give out sample edits because their approach can vary from project to project. This level of editing has to do with big picture ideas, and sometimes in an edit, big chunks of content can moved around, a plot can be restructured, characters can be developed further or deleted altogether. It’s difficult to show these changes in a sample edit, but some editors like myself do offer samples. I’ve come up with my own list to help authors (new and seasoned) navigate a sample edit from a developmental editor so they can decide if the editor is the right fit for their project. Did the editor preserve the author’s meaning? This question is relevant in any level of editing. But since developmental editing can be subjective, it may be difficult for authors to weed through an editor’s adjustments to characters, setting, and plot to see if any meaning was changed. You can look to see that the editor stayed close to the author’s intent when clarifying an idea; or if the editor corrected a confusing area that strayed from the original meaning, make sure she backed up her edit with a query. Were the editor’s queries helpful, positive, and encouraging? In my post about querying, I mentioned that it’s an important skill for any editor to have, and it’s a tool developmental editors rely on heavily. You can look at the queries to see if the editor not only pointed out an error, but showed how she solved the problem. Additionally, make sure the tone of the queries is friendly but firm and inspires you to revise your work—and doesn't discourage you from continuing. Were the editor’s suggestions thoughtful and engaging? After the editor understands your meaning, she may suggest an improvement on what you have or offer an alternative—both intended to point out a missed opportunity or iron out inconsistencies. Keep in mind that an editor may not always be spot on with her suggestions, but those suggestions can prompt an author to find a better idea. Is that progress? Yes. Authors should be aware of how an editor contributes to their revision process. Was the editor’s mindset and reasoning appropriate? This goes back to my blog post on principles and judgment calls a developmental editor makes. An editor shouldn’t rely on personal preference when making any change in an author’s work. You can look for the reasons behind edits. If it’s unclear, ask the editor. Reasons for edits should be in line with the author’s vision, should facilitate communication between author and readers, and should contribute to the integrity of the work. Is the work better off with the edits? I think this is the biggest question overall. Do the edits benefit the work or would the work be better off without the editor? That’s a question only the author or a publisher can answer. Look to see if the characters, plot, conflict, and setting were strengthened. Did the editor “get” what the author was trying to do? Was clarity achieved? If the editor did some line editing, are sentences more elegant, cohesive, and flowing? Was content organized logically? Thinking about all of these aspects could be the difference between an author hiring a developmental editor or walking away confused. I feel that it’s even more important for an author to be aware of what to look for in a sample edit because all editors are different. So, if you’re on the hunt for a developmental editor, there’s no harm in asking for a sample edit! What do you look for in a sample edit? Have you ever been amazed by how different samples can be between different editors?